Bonds are exposed to interest rate risk and the greater a bond’s duration, the greater the sensitivity to that risk. Perhaps more importantly given the current interest rate environment, the more rates fall, the more that risk rises exponentially. Asset allocation was intended to be a means by which to diversify, not an end in itself. Despite ample examples of how insufficiently asset allocation diversifies risk – the Fall of 1998, the dot-com crash of 2000, the high yield debt rout of 2003, the credit crisis of 2008, and so on – the industry overwhelmingly continues to use it as the primary means by which to build portfolios. 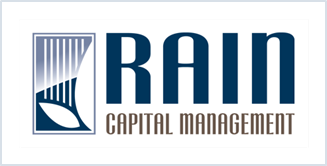 At Rain, we start with the premise that risk considerations should drive capital allocation, rather than letting capital allocation drive portfolio risk. This means that the building blocks of our portfolio construction are the direct risk factors that drive asset valuation like inflation, economic growth, interest rates, liquidity, volatility, and so on. The relationships that made asset allocation an effective way to diversify have changed. Correlations between most asset classes have been creeping steadily upward since the mid-1990s. Investors have been told investing across different asset classes (known in the industry as asset allocation) is the best means of diversifying their portfolio, yet they continue to experience violent swings in the value of their wealth with each successive crisis. Humankind innovates faster than we can solve the problems our innovations create. Wall Street is a case in point. What started with simple barter between individuals who produced goods each other wanted, evolved into trading shells, beads, commodities, coins, trade bills and so on ad nauseum.